Though the idea has kicked around for years, Bernie Sanders has been shouting into the Washington wind. Democrats will now give his universal-coverage pitch fresh momentum. It’s a pricey plan, but one that warrants fresh consideration given rising costs and Obamacare strife. U.S. Senator Bernie Sanders speaks at a Our Revolution rally in Boston, Massachusetts, U.S., March 31, 2017. Democratic Senator Bernie Sanders is unveiling a plan for universal healthcare in the United States though the Medicare for All Act of 2017 on Sept. 13. Several colleagues will join him and are co-sponsors of the bill, including Cory Booker of New Jersey, Kirsten Gillibrand of New York, Kamala Harris of California and Elizabeth Warren of Massachusetts. The Sanders plan would create a public healthcare system that would cover most services, including emergency care and prescription drugs, and there would be no co-payments. Private insurers would provide coverage for elective services, such as plastic surgery. The plan would be paid for with higher taxes. 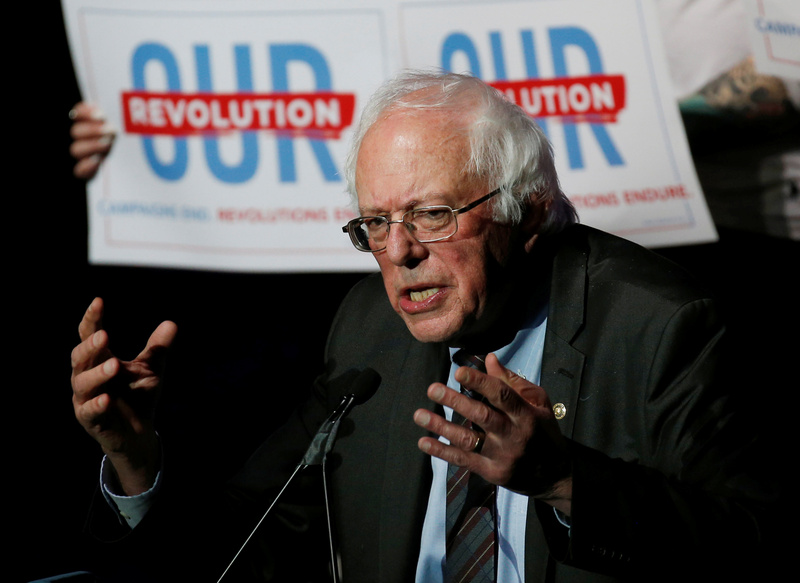 Sanders did not provide a cost estimate for his plan before the announcement but a similar proposal he suggested during his 2016 presidential campaign could cost $32 trillion over 10 years, according to the Urban Institute.